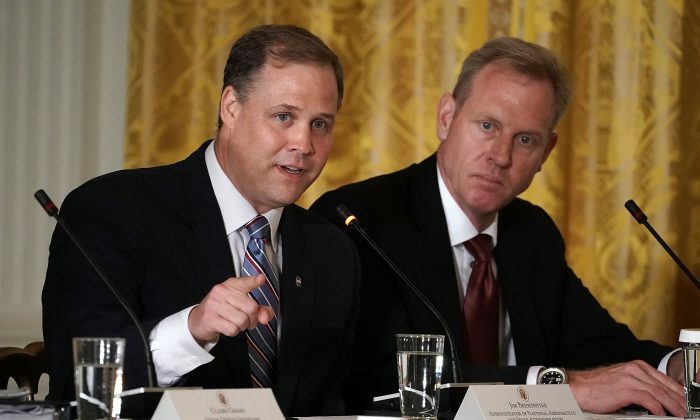 NASA administrator Jim Bridenstine is showing his support for President Donald Trump’s executive order to create a “Space Force” as the sixth branch of the U.S. armed forces. “And the challenge here is you’ve got some of our near peer competitors, namely China, building their own GPS constellation at the same time they’re developing anti-satellite weapons that now go all the way up to geostationary orbit,” Bridenstine said. “And it’s not just anti-satellite weapons, it’s co-orbital anti-satellite capabilities, jamming, spoofing, hacking, dazzling,” he said. Under Trump’s executive order, the U.S. military is preparing for the creation of the Space Force.